Lymphatic filariasis is caused by parasitic nematodes that invade and occupy the host lymphatic system. The extent of lymphatic filariasis is staggering, with over 120 million people infected in 73 endemic countries and an estimated 40 million people suffering from a range of disfiguring and debilitating clinical manifestations of this disease. The mechanisms by which these medically important parasites navigate the host immune response to establish infection are not yet fully understood. In this study, we identify exosome-like vesicles (ELVs) that are abundantly released from infective stage L3 Brugia malayi, an etiological agent of human lymphatic filariasis. Researchers from Iowa State University, show that these vesicles have a narrow size distribution and morphology consistent with classical exosomes, and that they contain common exosomal protein markers, putative effector proteins, as well as small regulatory RNAs. They show that ELVs are enriched with microRNAs that are perfectly conserved between parasite and host, suggesting a potentially novel mechanism by which filarial worms can actively manipulate host gene expression. They demonstrate that parasite ELVs are internalized by macrophages and elicit a classically activated phenotype in these host cells. The discovery of exosome-like vesicle release by human nematode parasites newly enlightens the roadmap to understanding the pathology of LF and related helminthiases. These vesicles also present promising new targets for intervention and diagnostics. 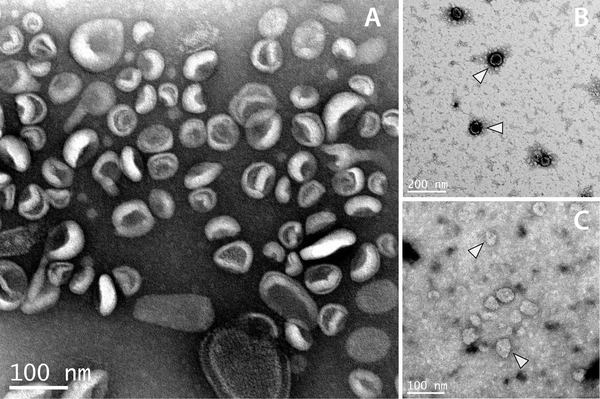 Electron microscopy confirms secretion of exosome-like vesicles in intra-host stages of B. malayi. TEM images of L3 (A and B) and adult female (C) ELV preparations are shown. 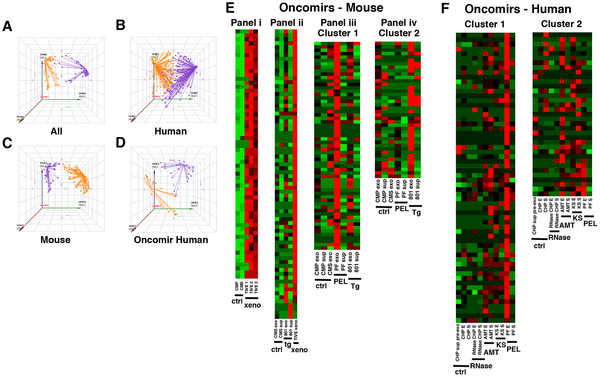 L3 vesicles take on a distinct morphology often reported in the literature. Adult isolations are more heterogenous and may require further optimization to achieve uniform vesicle preparation. White arrows show canonical L3 ELVs (B) and putative adult ELVs (C). This provides evidence for the release of exosome-like vesicles in the human-infective L3 stage of the parasite and much of the rest of the work we report is focused on vesicles derived from this larval stage.